A193 B6 Stainless Steel Bolts, ASTM A193 Grade B6 Bolts, ASTM A193 B6 Fasteners, Stainless Steel B6 Hex Bolts, Stainless Steel B6 410 Stud Bolts, SS B6 410 Washers, SS B6 410 Heavy Hex Nuts Exporter, Stainless Steel B6 410 Anchor Bolts Supplier. Are you looking for fasteners product for your industrial requirement? If yes, then B6 410 Fasteners are the right choice for you. The Amco Metals provide all type and grade of fastener product. It is the leading brand and supplier in the national and international market. 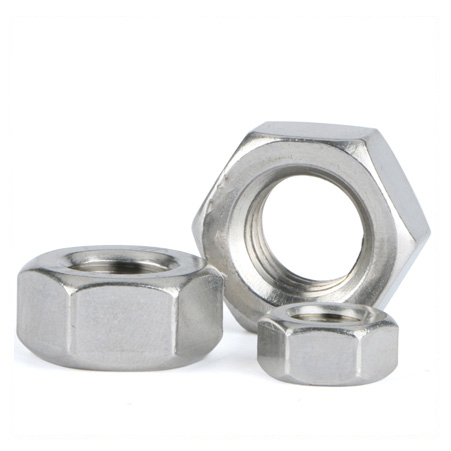 They supply fastener in all custom made size, thickness, and diameter. This grade of the fastener is widely used in various industrial applications like aerospace, automotive, waste processing, petrochemical, marine, and pharmaceutical. We have a full line of fastener product like collated screws, a threaded fastener, blind fastener and others. This grade of fasteners holds features of high strength, durability, sturdy, high performance etc. 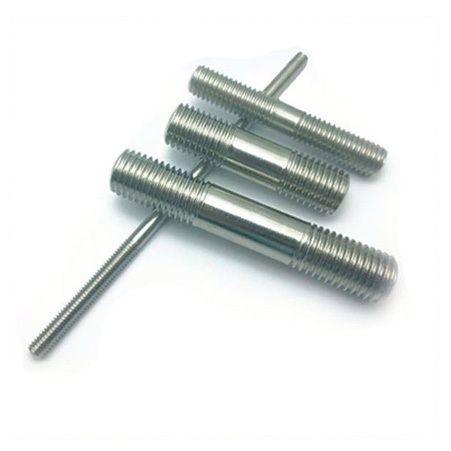 Stainless Steel B6 410 Fasteners are available in various forms like hex, square, round, threading etc. It has dimensions like ANSI, JIS, DIN standards and comes in metric or inch sizes. It is available in various surface finishing and coatings hot-dip galvanizing, phosphate, Teflon, PTFE, xylon, zinc and cadmium fasteners. 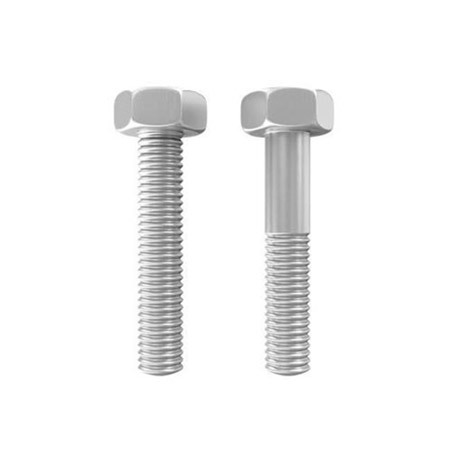 This grade of the fastener has a standard length of 3mm to 200mm and sizes M02 to M33. B6 Fasteners are subjected to various tests like hardness test, IGC test, positive material identification and it is also approved by third party inspection team. We supply this Grade B6 410 fastener in standards test certifications like NACE 3.1 Certificate, and we supply this product at reasonable rate. This grade of the fastener is packed in wooden case/pallet/ box/ or it is packed as per customer request in order to protect the material from rust during the transportation process. A193 B6(410) Stainless Steel Studs, A193 Grade B6 Fasteners, ASTM A193 B6 410 Eye Bolts, SS B6 410 Fasteners Manufacturer, ASTM A193 B6 410 Bolts, ASTM A193 SS B6 Heavy Hex Bolts, SS B6 Fasteners Supplier in Mumbai, India. Tibet, Spain, Afghanistan, United Arab Emirates, China, Australia, Belarus, Serbia, Brazil, Macau, Turkey, Yemen, Chile, Ukraine, Chile, Peru, Iran, Lithuania, Croatia, Morocco, Kazakhstan, Bulgaria, Oman, Bangladesh, Kuwait, Taiwan, United States, Belgium, Sweden, Trinidad & Tobago,Tunisia, Venezuela, Iraq, Malaysia, New Zealand, Singapore, Vietnam, Gambia, Libya, Slovakia, Algeria, Kenya, Costa Rica, Nepal, Israel, United Kingdom, Angola, Nigeria, Hong Kong, Bahrain, Bhutan, Portugal, Ireland, Romania, South Africa, Netherlands, Qatar, Iran, Egypt, Azerbaijan, Ghana, Japan, Canada, Denmark, Bolivia, Indonesia, Colombia, Hungary, Mexico, India, Norway, South Korea, Puerto Rico, Estonia, Philippines, Mongolia, Poland, Finland, Saudi Arabia, Greece, Mexico, Lebanon, Gabon, Ecuador, Czech Republic, Sri Lanka, Zimbabwe, Jordan, France, Switzerland, Namibia, Italy, Germany, Poland, Argentina, Thailand, Pakistan, Nigeria, Austria, Russia. Cairo, Pimpri-Chinchwad, Aberdeen, Dubai, Riyadh, Lahore, Perth, Brisbane, Houston, Vadodara, Dallas, Ahmedabad, Jakarta, Hong Kong, Chennai, Santiago, Nashik, Indore, Colombo, Vung Tau, Madrid, Jeddah, Moscow, Mexico City, Thane, Port-of-Spain, Howrah, Navi Mumbai, Bhopal, Thiruvananthapuram, Surat, Los Angeles, Faridabad, Ernakulam, Visakhapatnam, Doha, Hyderabad, Edmonton, Caracas, Gurgaon, Secunderabad, Baroda, Rajkot, Kuwait City, Melbourne, Pune, Noida, Al Khobar, Dammam, Ranchi, Courbevoie, Bengaluru, Sydney, Istanbul, Granada, Geoje-si, Chandigarh, Manama, Ahvaz, Nagpur, Abu Dhabi, Jamshedpur, Jaipur, Montreal, Al Jubail, Ludhiana, Ho Chi Minh City, Tehran, Karachi, New York, Muscat, Rio de Janeiro, Coimbatore, Busan, Hanoi, Bogota, Sharjah, New Delhi, London, Atyrau, Bangkok, Lagos, Singapore, Kanpur, Toronto, Milan, Seoul, Algiers, Ankara, Mumbai, Kuala Lumpur, Gimhae-si, Calgary, Kolkata, Chiyoda, Haryana, Ulsan, Petaling Jaya, La Victoria.